Yachting Europe represents over ten thousand boats in the Mediterranean Sea, The Caribbean, Thailand and several other places. We would like to be your preferred yacht charter agency wherever you wish to sail. 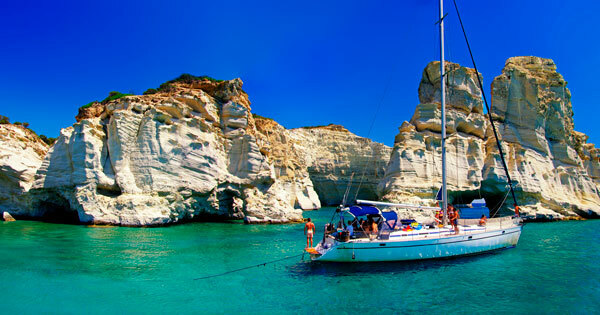 Renting a boat from Yachting Europe can be comparable with going on a holiday with a charter agency for land travels. We can plan your trip from A to Z. Been in this business since 2002 – More than 20 years of experience! Boats in all age and price ranges. Where do we rent boats? Almost 70% of all our yacht charters goes to Croatia. Number two is Greece, then Turkey, Caribbean, Spain and so on. Our expertise are in Croatia and Greece, both these destinations have a place in our hearts. We have been renting out boats in this region through our partners since 2002. Our employees have sailed in this region more than 20 years, and know every crutch and hook. What most people think of as a sea holiday is by sailboat. We have sailboats in all sizes, from the smallest with two cabins and all the way up to more than 70 feet long. Most of our boats can be rented without a skipper, if you are qualified. Some of our boats are only rented with a crew. We also rent out catamarans, motorboats, gulets and larger luxury yachts. All our boats are equipped with life jackets, liferaft, VHF-Radio, Chart plotter, maps and other necessities for travel at sea. If you like luxury, rent a yacht. We have them in all sizes and price ranges, they can also be rented on a more flexible time schedule. We can plan and organize your trip however you please,whether you need a yacht for your family trip or company events. If you need a private flight to and from the destination, we can also make that arrangement. When to pay depends on when you book the boat. If you are early 50% of the total expense is paid when you make the booking, the other 50% is to be paid 4-6 weeks before departure. If the departure is within 6 weeks or less, the entire payment is to be paid when booking. Payment can be paid with a credit card on our site or be transferred to our EURO bank account . If you aren’t capable of sending EURO payments with your bank, please use the conversion rate as of today, or ask us to calculate the total amount to your currency (This has to be done for both payments). It is our jurdic owner ACC AS that accepts payments by credit card. Please fill inn necessary information, and the amount that you have received from the invoice we have sent you. Payment is processed by our payment partner Stripe. Your privacy information is not stored on our servers. Please use one of our following account to make your transfer, please transfer according to currency. Financial security during your holiday at seas can be arranged together with UNIQA. You can buy this insurance from us, or direct from UNIQA. Kindly visit their website for further information and conditions. All necessary safety equipment is found on board. All our professional boat operators follow strict regulations for having life jackets and enough space inside the liferaft for all passengers aboard. Additionally to this there will be distress rockets, fire extinguishers and spare parts for minor repairs as for example for the dingy. There will be sea maps/drafts in paper on board. You will also find cruising companion books/harbor guides for the area you will be sailing in. Most newer boats after the year 2000 also has digital chart plotters placed either inside and/or the outside. VHF-radio is also always on board. If you like to APPS for smartphones we can recommend the APP Navionics for either iphone or Android. As a harbor guide/cruising guide we can recommend the APP mysea. Both these APPS are great tools for planning a route and finding a place to anchor up or finding marinas. But never solely rely on electronics. Always keep a paper map in reach,and check your route according to this. All our boats are fully equipped for normal cooking. Pots, a pan, coffee cooker, cups, glassware, plates and cutlery. If your have any specific request or needs please feel free to contact us, and we can make an arrangement. Dingy or Rib (demands on the size of the boat) are always included. Outboard engine can be rented as an extra if desired, usually for a small fee. First tip – Don’t pack too much! Packing for a week or two on a boat does not need to be hard. Pack your things in a bag, make sure it’s possible to stow it away under your bed or in a closet when you’ve packed out. There is no need to bring life jackets. These are already on board, together with all other necessary safety equipment. The life jackets on board are often the traditional orange type, and not the practical self-inflating ones when they get in touch with water. If you have one of these bring it with you if you like. Everybody aboard should wear life jackets under sailing, especially if sailing at night. Skipper and co-skipper are recommended to bring water-/wind proof clothes in case the weather turns. Usually during summer this won’t be needed. Sitting outside at night under the starry sky with a cup of tea is something many of us appreciate. Therefor bring a warm snuggle-jacket and trousers. Bring an outfit suitable for a night out or a nice restaurant. But keep the packing to a minimum , most people return home with plenty of unused clothes. Most people wear singlets, t-shirts, and walk around bare foot. But bring a pair of flip flops for the hot sand, and a nicer pair of shoes for the night out. Don’t be surprised it you end up wearing flip flops most of the time. There is no need to bring bedding or towels. This varies among our boat operators, but bedding and towels are sometimes included. If its not it doesn’t cost too much. The kit is usually per.person and includes: two sheets, pillow case, one large and one small towel ( this might vary). When you arrive to a marina the first thing you do is stocking up. We’ve made a list of suggestions for what you might find useful. Water, water and more water. Staying hydrated in the heat can minimize the risk of getting sea sick. The water on board is not advised to drink, so buy enough water. The water on board can be boiled and used for coffee, cooking, washing dishes and taking a shower. Shop for both snacks and larger meals. It can be hard to cook food when at sea, so keep a stock of easy to prepare foods. Fruit, noodles and pasta are all great choices to have in reach. Other than that go around as you usual do when it comes to food, maybe even try your fishing luck. Toilet paper for use on boats. Be careful not using too much paper resulting in a clogged toilet. Are you going to Croatia we can recommend the shopping service JamYachtSupply. They can help stock up your boat with desired foods and other items before your arrival. You can pay with a credit card and all your goods will be delivered to your boat when requested. Other destinations; most other marinas can do your shopping for you. Please contact us and we will assist you.